Additives are chemicals added to food to improve how it looks and tastes, and to extend its ‘best before’ date. How many types of additives are there? What effects does consuming food containing additives have on health? The possible negative effects are countless. Additives can affect the immune system, bone marrow, colon, bones and the CNS, to mention a few. Each additive has a specific effect. 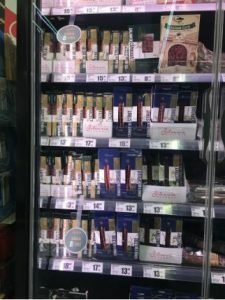 The mission of Silvania Gourmet is to offer a range of products* without additives as a healthy, high-quality alternative to existing products on the market. Our products were extensively tested together with our partners in Germany in order to eliminate the last additive we were using in our products, namely sodium nitrite, a very harmful additive. Our additive-free range is recommended to everyone, including children, as a healthy alternative to other cold cuts and patés. We are confidently asserting that we stand by our products and are consumers of our products, just like the people who buy them. Which additives are the most dangerous to health? E 621 - monosodium glutamate (MSG) is the sodium salt of an acid, used as a flavour enhancer. E 102: Tartrasine, a colouring agent banned in some EU countries but allowed in Romania. It can cause tumours, liver damage etc. E123: Amarant - red colouring agent, a cancer-causing additive that is banned in the US and Russia. E127: Eritrosine - red colouring agent. Associated with thyroid cancer in animals, possibly in humans too. E330 (citric acid) – can cause mouth infections and is a suspected cancer-causing additive. It is found in most commercially available soda drinks, mustard (as a flavour enhancer), canned mushrooms. E 951 (aspartame) is an often-used artificial sweetener and is supposedly the source of over 70 types of diseases; carcinogen. It is banned in the US. It is also associated with headaches, insomnia, vision, hearing, and memory disruptions, fatigue, palpitations and gain weight. It also plays a significant role in the formation of brain tumours, multiple sclerosis, malformations and diabetes. Where can the additive information be found on our products? *Additive information can be found on the lower side of our packaging on patés and on the left lower side of the packaging on cold cuts. Additive information is displayed in four languages. What are food colouring agents? Colouring agents are food additives which affect the looks of food products in order to either give them a “natural” colour or to alter it. Why are food colouring agents used? They are mostly used to increase the esthetic qualities of commercially available food products and satisfy customers with a “good eye” in picking food products. A lot of raw materials lose or change colour during processing or during the product’s lifetime, therefore producers look for new ways to convince customers to purchase their product by using colouring agents. Which are the most dangerous colouring agents? What are the harmful effects of food colouring agents? Food colourings can cause several issues in children, such as attention deficit disorder and ADHD, both serious conditions impairing child development. Food colourings can impair immunity, resulting in decreased ability to fight illness. Some colouring agents can cause sterility, particularly in males. According to research by the Centers for the control and prevention of diseases, artificial food colourings are also associated with asthma, allergic reactions and lead poisoning. Despite numerous bodies of research linking ADHD to processed foods (including food colouring agents), the US Food and Drug Administration has failed so far in establishing a clear link between the two. Are there alternatives to artificial food colourings? Natural food colourings, obtained from carrots, celery, spinach, pumpkin, berries, red cabbage, turmeric, saffron and hot peppers are a healthy alternative. Only about 30% of all food products processed in Romania contains natural food colourings. These are typically organic food products. Natural colourings can change the taste of food products and their colour is not as vibrant as that of their artificial counterparts. They can also be affected by heat, so their colour can change during the lifetime of a product. 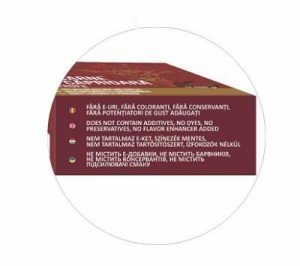 What is the policy of Silvania Gourmet regarding artificial colouring agents? All our products containing the following inscriptions: * No Added Artificial Colourings or No Added Colourings or No Additives do not contain colouring agents and can be consumed safely. We are actively trying to avoid using colouring agents in our products. 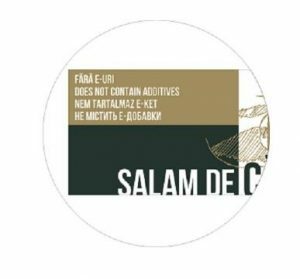 No Additives inscriptions can be found on the lower side of our packaging on patés and on the left lower side of the packaging on cold cuts (salamis, sausage links, pastrami). Additive information is displayed in four languages. Preservatives ( E200-E290) prolong the best before date of food products and protect them from bacterial alteration. They are food additives that are not normally consumed as food and do not usually belong inside a food product, but are intentionally added during the manufacturing, processing, preparing, packaging, transporting or storing process to become, directly or indirectly, a component of said food product. There are two types of preservatives: antioxidant preservatives and antiseptic preservatives. Antioxidant preservatives are used to prevent changes in nutritional value and in how the product looks and tastes that result from the oxidation of fatty acids, amino acids and vitamins. Antiseptic preservatives are used to prevent the growth of bacteria, fungus, and mould which could cause illness as well as alter taste, colour or nutritional value. Preservatives allow food products to retain their properties for a longer period of time, which benefits both producers and retailers, as they help reduce loss caused by the disposal of products not sold immediately. Which are the most dangerous preservatives? What are the harmful effects of artificial food preservatives? According to international reports, consumption of food products containing additives is the third leading cause of death in the world, behind only drug consumption and traffic accidents. Long-term consumption of food products containing additives destroys the immune system (causing it to produce antibodies in excess and use them against our body) and can cause a series of malignant and benign tumours. Are there alternatives to artificial preservatives? There are two distinct alternatives to artificial additives: the no-additive approach and the organic approach, both of which have additional benefits at the consumer level (within the organic approach it is necessary to mention the E-FREE aspect, the organic products being able to have E added to the product). Until the end of 2018, most Silvania Gourmet meat products contained sodium nitrite, which was the only artificial additive still used in our products. Required testing to eliminate it was undertaken at the end of 2017 and was carried out over a 12-month period. During this time, we managed to replace products’ spicing containing sodium nitrite, successfully retest the preservation of our nitrite-free products, find viable substitutes for nitrite salt, and improve the quality of our production flow to maintain the shelf life of our products. As a result, we’ve started supplying our first additive-free products on the market. Having eliminated even the sodium nitrite, our products are now “clean label”, as can be seen on both our packaging and in “no additive” store sections in all major stores. 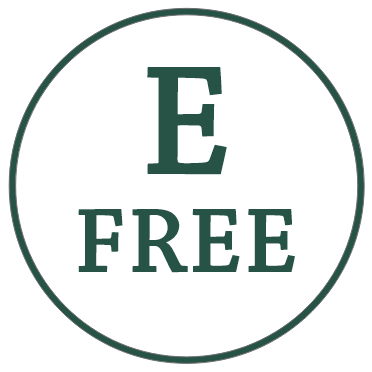 As of 2018, all our upcoming products are additive-free. Silvania Gourmet’s mission is to remain “clean label” and offer a healthy and long-term alternative to our consumers, in partnership with our dedicated suppliers. Usually found on labels under the code name E250 (NaNO2), also known as sodium azotite, it is one of the most controversial food additives in the meat industry. Despite this fact, it can be found in most cold cuts, patés, vegetables (as a leftover of chemical fertilizers used during growth), beer, tobacco and even some cosmetics. Sodium nitrite is known to cause cancer and is banned in certain European countries, such as Norway, Sweden and Germany. The additive also has a misleading name which sounds a lot like sodium nitrate (E251-NaNO3, a less dangerous chemical) and it is also very close to the name of salt (sodium chloride - NaCl). What is sodium nitrite used as? Which products contain sodium nitrite? Generally, this food additive is a great bacterial growth inhibitor, and as such, it is found in the vast majority of meat products (79% as per the Minister of Health). Why is sodium nitrite described separately as a preservative? We are giving special attention to this preservative because of its wide range of use in food products, the lack of information on labels (specifically about the amount used) and, last but not least, its negative effects on health (we are in no way refuting its qualities as a bacteria inhibitor, however, we take issue with its widespread use which causes an increased intake in the population). What are the harmful effects of sodium nitrite? It is considered a cancer-causing additive. Its lethal dosage is only 0.2-0.5g/kg in children. Labels do not specify the amount or concentration of E250 present in food products which is a major issue in terms of consumer awareness. In accordance with European legislation, sodium nitrite can be added to food products solely as a mixture with salt, with a maximum concentration of 0.06%. Pregnant women and children should not consume this additive because young children’s hemoglobin is different from that of adults and reacts a lot stronger to exposure to nitrites. In children, ingestion of sodium nitrite can increase the risk of type 1 diabetes and thyroid conditions. According to medical literature, sodium nitrite overdose (more than the maximum allowed amount of 0.2 mg/kgc in 24 hours) causes methemoglobinemia, which is a condition that occurs when hemoglobin is no longer able to carry oxygen to human cells. The first symptoms of methemoglobinemia are: malaise, headaches, vertigo, laboured breathing and a purplish hue on limbs, lips and tongue. Is there an alternative to eating foods that contain sodium nitrite? We recommend eating organic foods and foods free of additives that have the additional specification E-FREE (considering that organic foods can also have additives). Genetically modified organisms, also known as transgenic organisms, are the most commonly used terms to describe plants or animals of normal appearance, but which have undergone genetic modifications by gene transfers from different species: plants, animals, bacteria or viruses with the purpose of changing certain of their features. In Romania (in accordance with GO no. 49/ 2000), a genetically modified organism is defined as "an organism which contains a new combination of genetic materials obtained through modern biotechnology techniques which create new features" (Badea, 2000) . Recombination techniques include recombination of nucleic acids, direct introduction of external material (using virus and bacteria as vectors or through macro-injection and micro-encapsulation) into new organisms, cell fusion and hybridization techniques. Genetic engineering benefits in the agro-industrial field include but are not limited to: plants resistant to draught and pests; grains with high protein content; gluten free grains; rice with high vitamin A content; fatty acid canola oils which can be used in low fat diets; plants free of allergenic proteins (kiwi free of allergenic proteins). Although the above results are real opportunities for economic growth, substantial increase in food production, the potential harmful effects of genetic engineering should not be ignored. They are the object of heated ethical and health-related debates. The release of GMOs in the environment has a berth of negative effects, including: human, animal and plant illness; effects on the dynamics and genetic diversity of any species that is subjected to GMOs; reduced resistance to pathogens (facilitating the spread of infectious diseases and/or creating new reservoirs or vectors); compromised prophylactic and therapeutic treatments for both humans and animals (for instance, through gene transfers which offer antibiotic resistance); effects on the bio-geo-chemical cycle, especially through the recycling of carbon and nitrogen and through the engineered organic material decomposition in the soil. Although GMOs are tested extensively, scientists cannot yet tell what the future of these technologies will bring for plants, animals and humans. In the natural habitat, genetic modifications are manifest after a number of generations, whereas the “improvements” seen in laboratories are happening swiftly. Therefore it is impossible to tell what will happen to these organisms in the future. Given the above, the Silvania Gourmet team reserves the right to avoid using GMOs in products where this fact is included on the label*. Check the back or the side of boxes for GMO status.